I finally mustered the courage this week to buck all the “don’t bother to see it” hype (from fellow Christians) and saw the movie Noah. Frankly, I was impressed with it on a number of levels. OK, I will admit I found the use of rock men to convey the concept of Nephilim to be a little strange. Yet far more disturbing than the rock men are some of the shallow comments and blogs I have read from Christians trashing the movie using various forms of cynicism, sarcasm, and religiosity. Memo to Ray: Anywhere the ark rested there would be a beach! I don’t understand what all the fuss is about. I watched this movie twice and enjoyed it even more the second time. OK, Aronofsky isn’t a Christian. And he took artistic license to tell the story. Any one of us would have done the same thing. Let’s remember that Noah was only 10 generations removed from Adam. There was no Judaism, no Mosaic Law, no Jesus story, no Gospel as we know it. Having said that, this movie clearly communicates the Biblical story of Creation-Fall-redemption not once but 3 times. I was pleased with all the positive things that emerged from this movie, things I could connect with as a homeschooling parent who is striving to raise my family in a violent, perverse culture. What of the environmental emphasis? Go back and read the story. It’s there. The Creator loves all of His creation. In fact, salvation covers the redemption and restoration of the whole planet, not just “yours truly.” That may be a hard pill for some of us evangelicals to swallow, but it is Biblical nonetheless. Noah is a very short section of the Bible with a lot of gaps, so we definitely had to take some creative expression in it. But I think we stayed very true to the story and didn’t really deviate from the Bible, despite the six-armed angels. Darren Aronofsky is not a theologian, nor does he claim to be. He is a filmmaker and a storyteller, and in NOAH, he has told a compelling story. It is a creative interpretation of the scriptural account that allows us to imagine the deep struggles Noah may have wrestled with as he answered God’s call on his life. 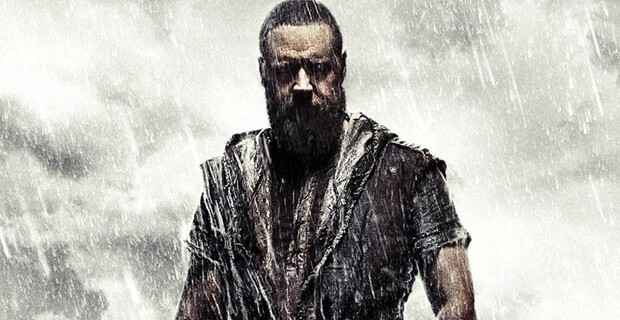 This cinematic vision of Noah’s story gives Christians a great opportunity to engage our culture with the biblical Noah, and to have conversations with friends and family about matters of eternal significance. NOAH is both spectacular and surprising. Russell Crowe accomplishes a very difficult thing — allowing a viewer to accompany a desperate man seeking with all his will to follow God’s commands in the face of events and forces he doesn’t understand or can even hope to contend with…The various controversies swirling about the film are revealed by the actual film to be absurd. Enjoy the movie for what it is: An amazing glimpse of what might have been and an invitation to think about how this story has survived and thrived to be told and retold 10 million times.